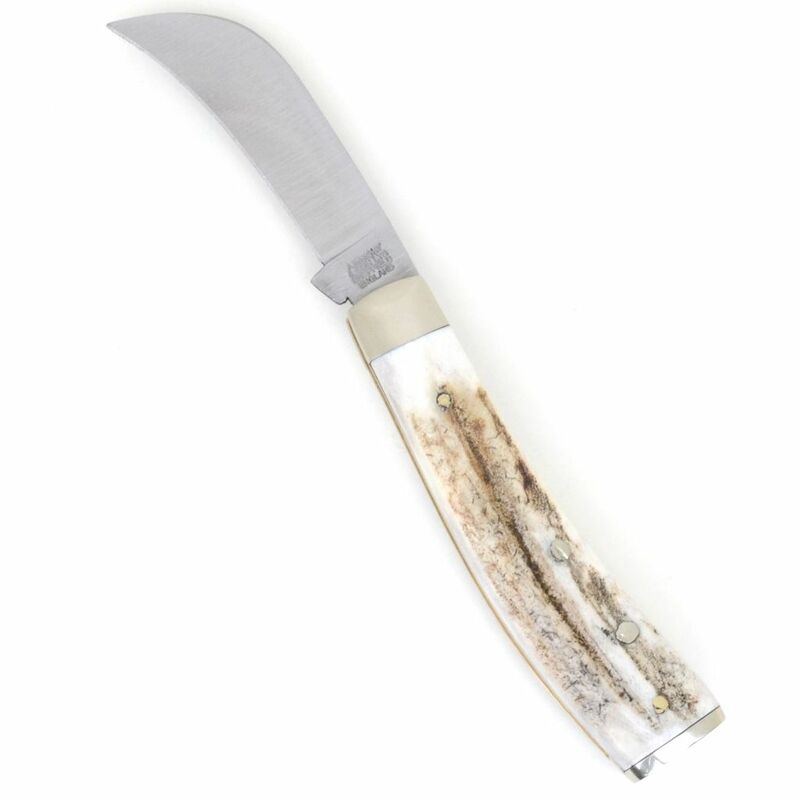 Shop and buy this A. Wright & Son, Sheffield, folding pruner pocket knife 115CS, 7.5 cm (2.9 inches), C70 carbon steel blade. 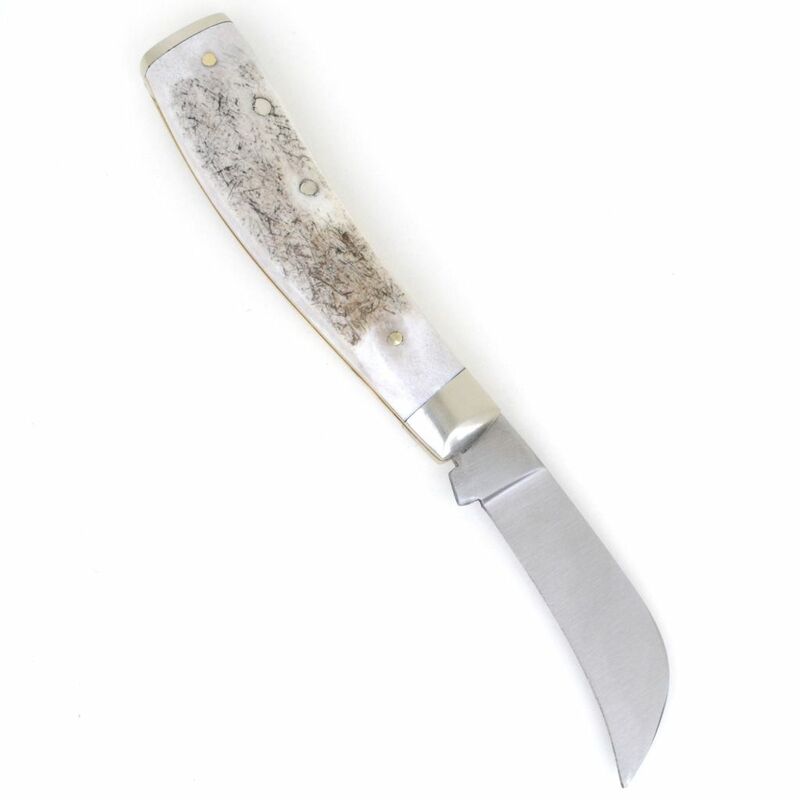 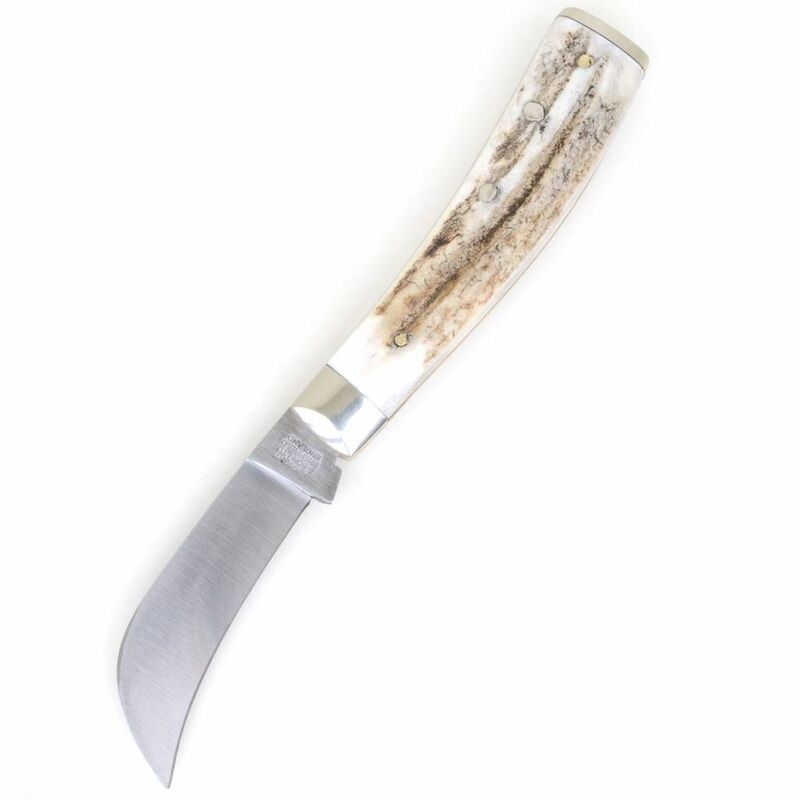 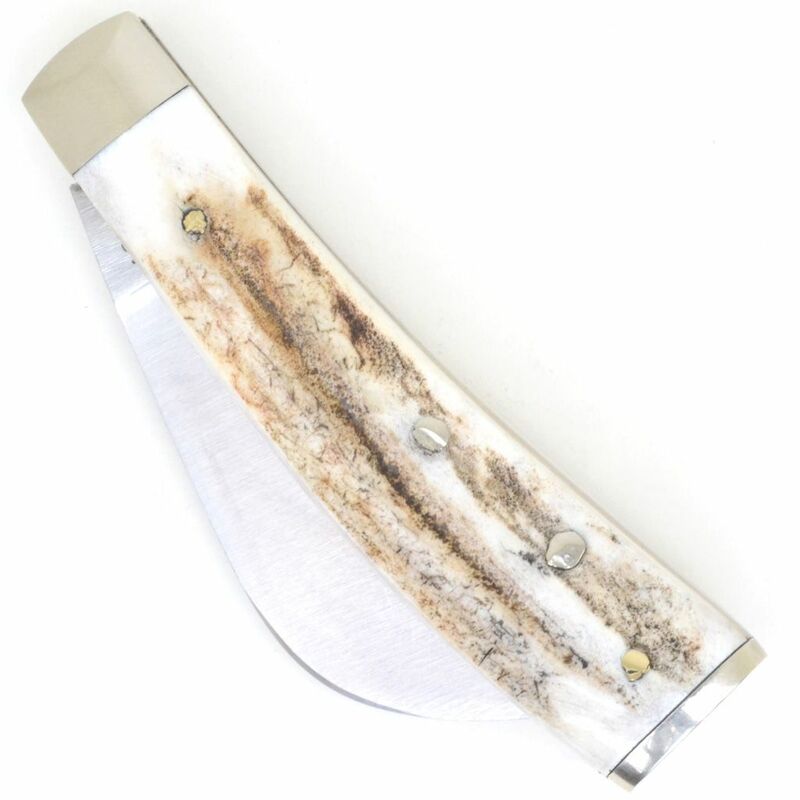 Brass handle liners, nickel silver bolsters and end cap, stag horn handle scales, stag horn handle from sustainable UK source, hand made in Sheffield, England. 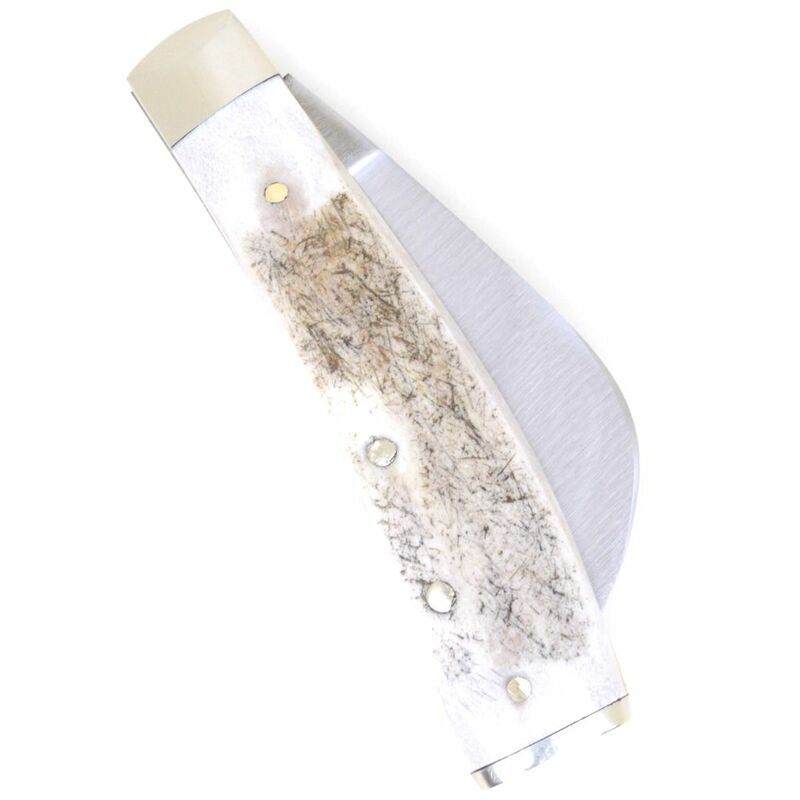 Note: carbon steel knives should be cleaned and oiled to prevent corrosion, surface corrosion can be removed with fine sandpaper.